Wide loads of materials for the Daniel K. Inouye Solar Telescope will close Haleakala’s summit to visitors from 10 p.m. Tuesday through 2 p.m. Wednesday, according to an announcement from the National Park Service. There will be no sunrise viewing Wednesday. In the summer of 2015, more than 25 protesters were arrested in two demonstrations aimed at stopping wide loads of large pieces of telescope construction material to the top of the dormant volcano. 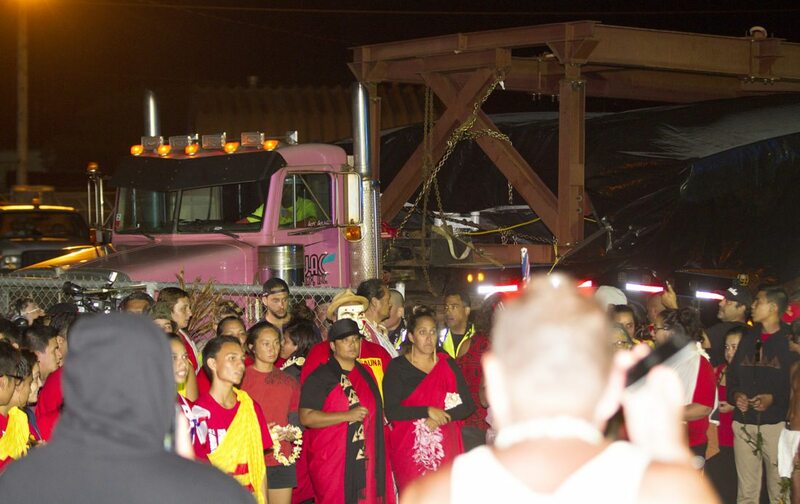 Protesters joined arms through PVC pipes and laid in front of trucks attempting to leave the Puunene baseyard. Trucks were able to get through after protesters were arrested and taken away. There was no immediate word Wednesday from protest organizers if there would be further demonstrations next week. Kiope Raymond, president of Kilakila ‘O Haleakala, the group that fought a seven-year legal battle to protect the sacredness of Haleakala, said he had not heard of any planned protests, although he could not speak to any plans by Kako’o Haleakala, a group that mobilized protesters against the telescope project. 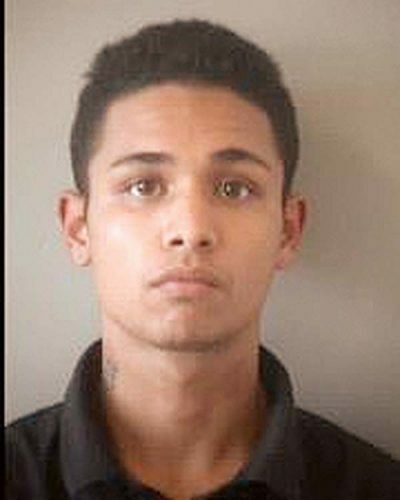 Raymond was arrested in the protests but all charges have been dropped, court records show. Kahele Dukelow, a member of Kako’o Haleakala, said Wednesday afternoon that there were no definite plans. And, there was no immediate comment from telescope project manager Joseph McMullin. Meanwhile, the park service reported that Crater Road and Haleakala National Park’s summit road would be closed to visitor traffic Tuesday night through early afternoon Wednesday. The roads will be shut down to the general public “while a slow-moving convoy transports extremely wide loads to the Daniel K. Inouye Solar Telescope near the volcano’s summit,” the park service announced. The telescope is located outside park boundaries. A special use permit allows the convoy’s passage at 2 to 5 mph through the park, the park service said. Although the park road to the summit will reopen at 2 p.m. Wednesday, the Haleakala Visitor Center at the 9,740-foot elevation will remain closed all day, officials said. Back country permits will be given out at the Headquarters Visitor Center at the 7,000-foot-elevation from 2 to 3:45 p.m. Wednesday. However, backpackers planning to hike in the crater on that day are strongly urged to get their permits a day in advance. Visitors who paid an entrance fee Monday through Wednesday will have a one-day extension on the usual three-day pass. The extension will apply to both the Summit and Kipahulu districts. For more park information, call 572-4400 or visit www.nps.gov/hale. In October, Kilakila ‘O Haleakala lost an appeal before the Hawaii Supreme Court when the high court sided in a 3-2 decision with telescope developers in ruling that the state Board of Land and Natural Resources properly granted permits for the project. Kilakila had been challenging the telescope project in the courts since 2009. In October, the vertical and external construction of the $340 million telescope had been completed. The remaining work was to its interior, and it was on track to being operational in 2019, a University of Hawaii spokesman said. After recognizing Ulupalakua Ranch and the Erdmans for supporting the Auwahi forest restoration project, the group made their way to the native dryland forest and planted a seedling of the endangered mahoe to commemorate the 20 years of the project. Sumner, Angie and Pardee (from right) were honored for their and the Ulupalakua Ranch’s support of the native dryland forest restoration project at Auwahi for the past 20 years. Among those recognizing the Erdmans and Ulupalakua Ranch at the event at the ranch were (from left) Mary Abrams, U.S. Fish and Wildlife Service Pacific Region director, and Art Medeiros, Auwahi Forest Restoration Project manager and founder.